The LLNE Blog has moved. Come visit us at http://llne.org/blog. Social Law Library will be hosting the LLNE annual Fall Meeting on Friday, October 4th, 2013. For more details, agenda, speakers, and registration information, please go to the meeting website. This year’s topic is the “new normal” in law libraries. It’s something we have all been talking about but what does it really mean for our jobs, our collection and, most importantly, our users? Tracy Thompson from NELLCO will provide a lay of the land followed by a day of presentations and discussion about just what it means to be “normal” in this “new” landscape. The menu and registration details for the LLNE Annual Business Meeting and Luncheon are now available on the LLNE website. To register for the luncheon, please RSVP by email to llneluncheon@gmail.com no later than Friday, July 5, 2013. Please also mail a check for $40.00, payable to Law Librarians of New England, to LLNE Treasurer Melanie Cornell. Looking forward to seeing you all in Seattle! Harvard Law School will be hosting the LLNE annual Fall Meeting on Friday, December 7th, 2012. For more details, agenda, speakers, and registration information, please go to the meeting website. 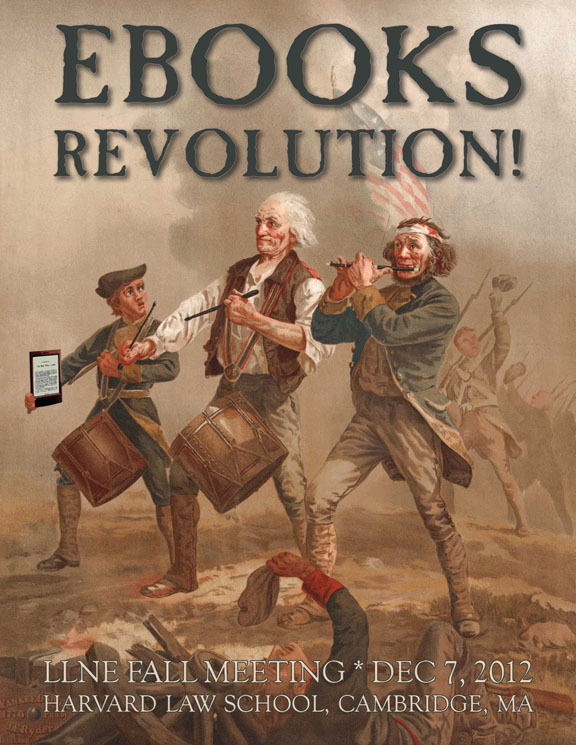 The theme this year is "eBooks Revolution." 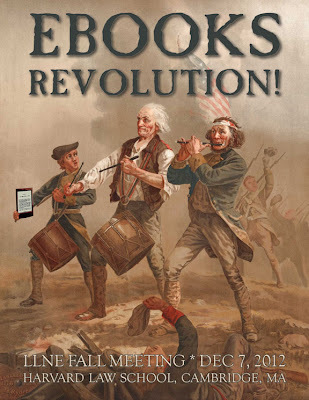 Academic, firm, and public librarians, as well as law school faculty and staff, will discuss some of the cutting edge issues around the “eBooks Revolution.” Come hear from the people who are making, creating, and advocating for the revolution in academics, law and the public. There are still tickets to the Boston Red Sox vs. the Toronto Blue Jays during AALL in Boston! So, if baseball's your passion, don't miss this opportunity to visit Fenway Park, home of the Boston Red Sox and one of the best-known sports venues in baseball - now on the National Register of Historic Places. This is your last chance to snag this hard-to-get ticket to attend a game after the Opening Reception on Saturday, July 21st. Come celebrate Fenway's 100th anniversary and sit with your colleagues and make it a night to remember. Update 7/13/12: The tickets are now sold out!